runBus known as biggest part of Stonehenge E-commerce Pvt. Ltd. They offer reliable, fast and low fares Online Bus Ticket Booking anywhere in India. International Link Tours is a premium travel agency catering to the needs of Muslim Community of United States for religious traveling. RocknRoll Adventures specialize in offering school groups safe & fun-packed educational trips. Sweet Travel Private Tours Kft.is one of the most popular travelling agency across Hungary City. We are specialized in organizing quality tours. 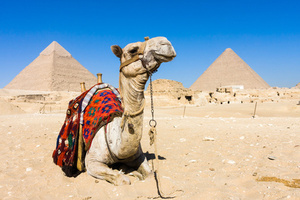 Egyptra Travel is one of the pioneers , the major impact on the travel industry have, and can for more than 10 demonstrate experience years. Incoming Travel agency, category A, offers all travel services ticketing;hotel reservation, safari, ecotours,transportation, nile cruises, etc. Singularity Travel is a premiere travel agent operating in Egypt. specialized in inbound to Egypt as well as outbound to any worldwide destination. Travelstart is Egypt's leading Online Travel Agency. Search, book and pay for flights and more online. Local office in Cairo. ASE Group consists of 5 companies, established in 1989. The group offers Ground Services, Consultancy, and Travel & Tourism Services. Crew Tours is an Egyptian Destination Management ( DMC ) specialized in handing inbound tourism in Egypt and Middle East . Experience London with London duck Tours! They offer you a fun filled London guided tours on their Ducks. Tourists would have to make sure they’re covered for personal accident, total disability and death, and medical treatment. A Dominican archaeological mission unearthed the artifacts in the Taposiris Magna area in the Mediterranean city of Alexandria. 53% increase in tourists in 2017 led by German and Ukranian tourists. The New Minister is starting strong with a Tourism Reform Program. The number of tourists who visited Egypt in that time jumped 54 per cent to 8.3 million.